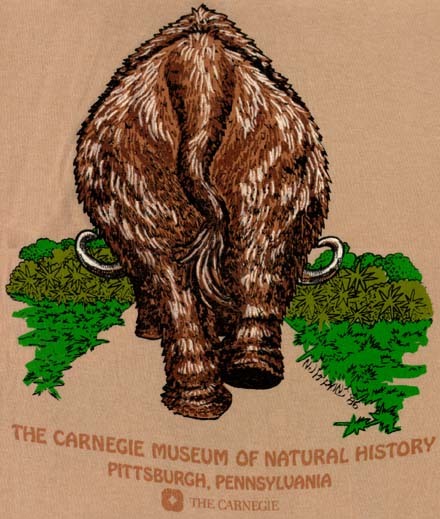 Back: The Carnegie Museum of Natural History. Pittsburgh, Pennsylvania. The Carnegie. 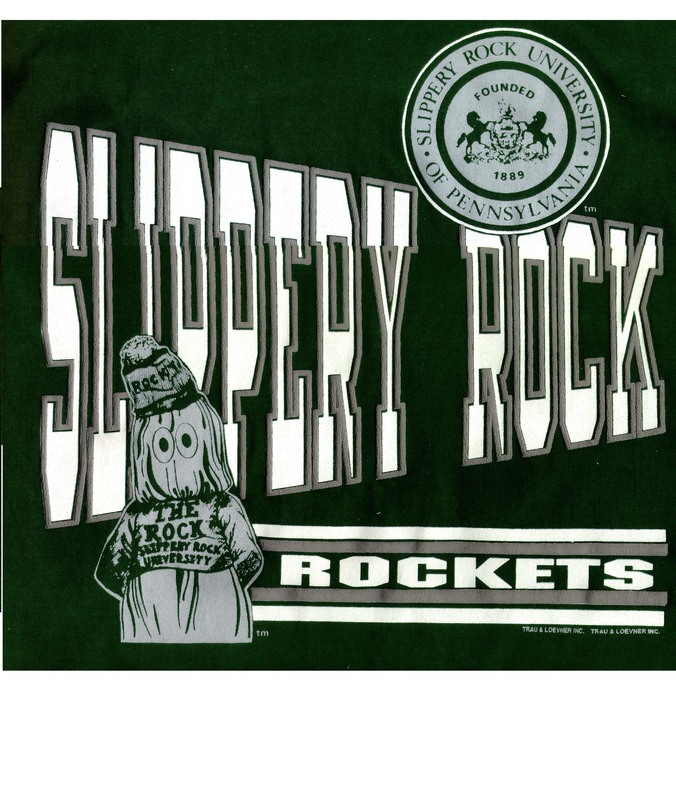 (text) Front: SLIPPERY ROCK UNIVERSITY OF PENNSYLVANIA FOUNDED 1889. SLIPPERY ROCK ROCKETS. 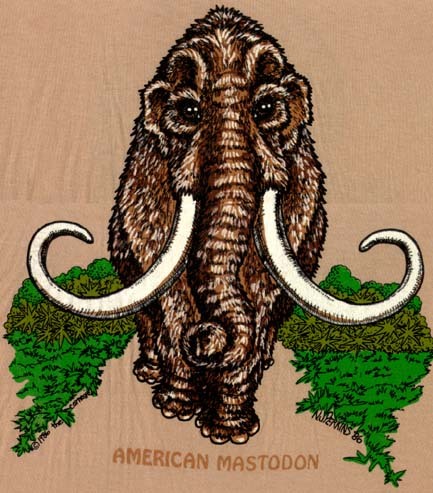 (description) A green and gray shirt with a picture of the slippery rock mascot and the words slippery rock university of pennsylvania. 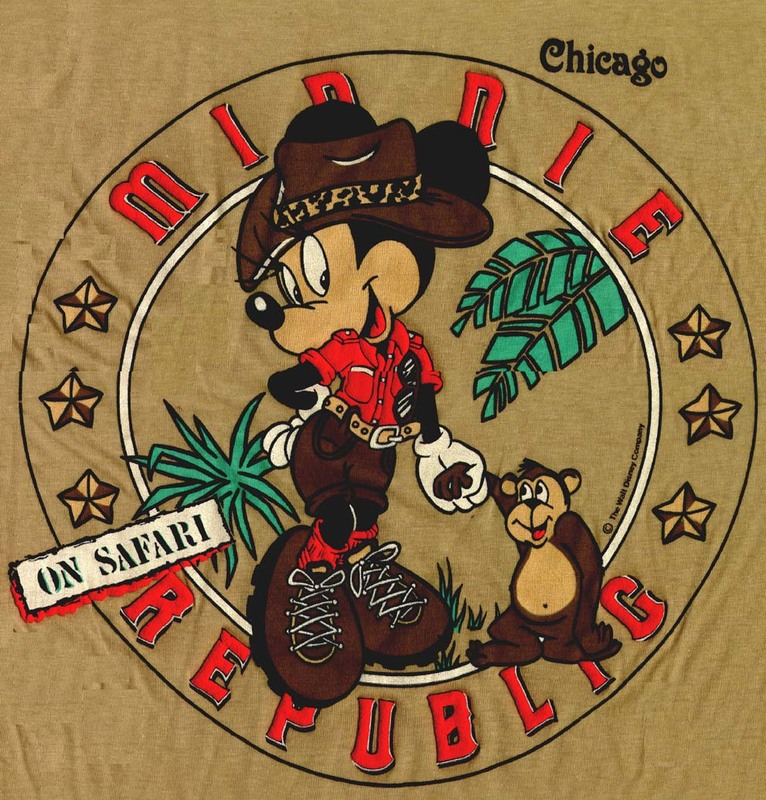 (description) A dipiction of minnie mouse on safari with the words Minnie Republic on Safari and Chicago.